My students and colleagues often joke that I have an extreme obsession with post-its. I have a feeling that a lot of teachers out there share my obsession. If not, maybe you will change your mind after reading this lesson! Last year, I participated in a book study of Harvey and Goudvis’s Strategies That Work: Teaching Comprehension for Understanding and Engagement. I instantly fell in love with the book. The idea of using post-its to summarize a text, which I use in this lesson, can be found in their book. My students and I had already discussed the concept of main idea. This can be a very challenging concept for students to grasp, so I am constantly revisiting the concept. After this lesson, I believe my students have a much better understanding of the concept and even aced the assessment I administered at the end of the week! Since I had already introduced the concept, we had already created an anchor chart. 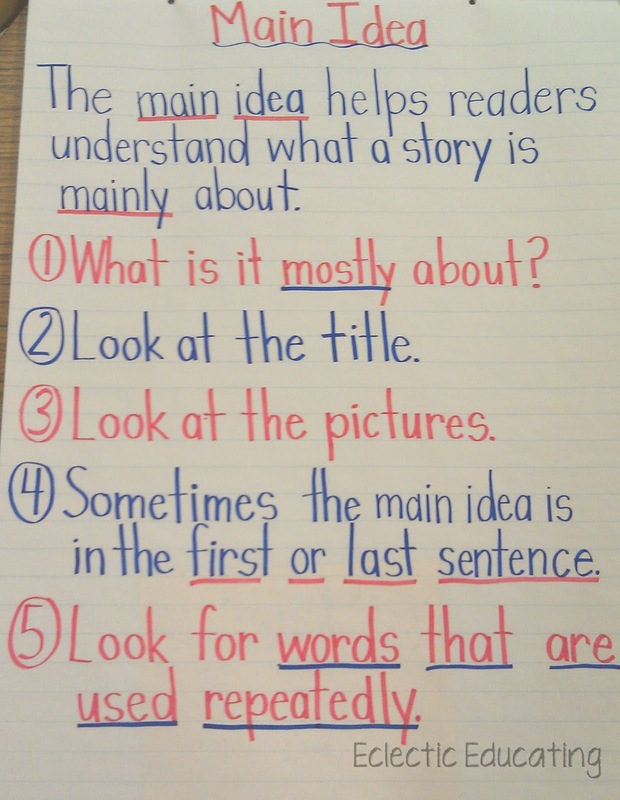 Before beginning this lesson, we reviewed the anchor chart and tips for helping us identify the main idea. Once we had gone through the entire article, we removed the post-its and placed them, in order, in our reader’s notebooks. Next, we read through all of our post-its. We tried to think of what all these post-its had in common, while also remembering our tips from the anchor chart. From all this, we identified the main idea. I began with an article, because it is shorter, and as a result, more direct and to the point. After the article, we moved on to a book about Thomas Edison. I chose this book because it is not about Thomas Edison’s entire life, only information connected to his inventions. This book is divided into nice sections as well. As with the article, we went through each section of the book and identified the important idea(s) from each section. We discussed how these post-its were actually the supporting details in our summary. Once again, we transferred the post-its into our reader’s notebooks. We talked about what words and ideas kept reappearing. At this point, the students realized invention appeared on almost every post-it. 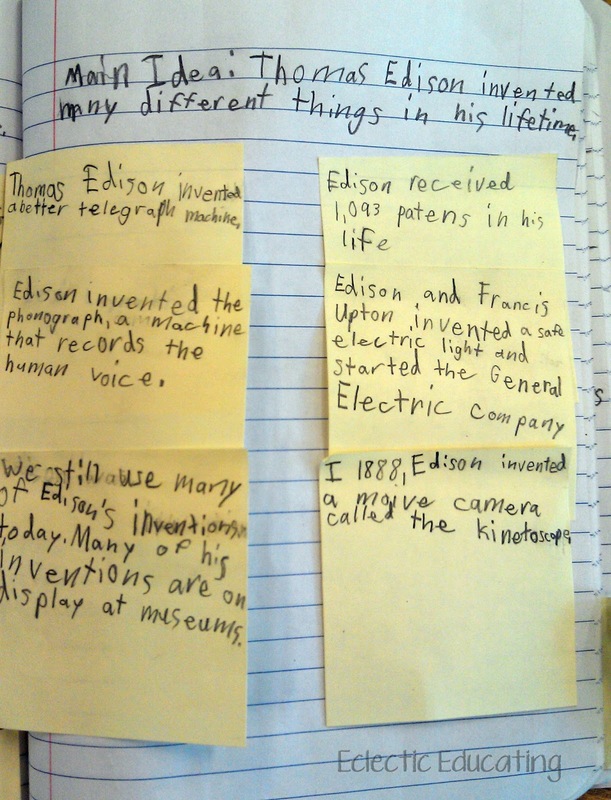 From this, students were able to see that the main idea was about Thomas Edison’s life as an inventor. Isolating the important details from the text in the form of post-its really helped my students focus on the central ideas of the text. I am extremely pleased with their progress and will definitely be using this technique again in the future. Do any of you have an obsession with post-its too? 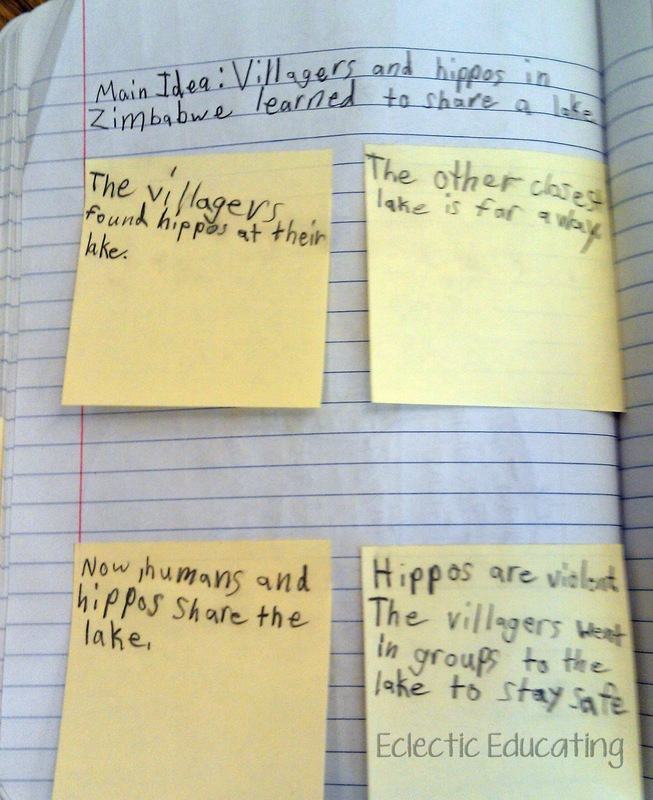 We do Post-it Note summaries too! It's so good for guided reading groups, since I don't see them every day and they need a refresher. I like to scramble them as a review and have them put the notes back in sequential order- good teamwork! 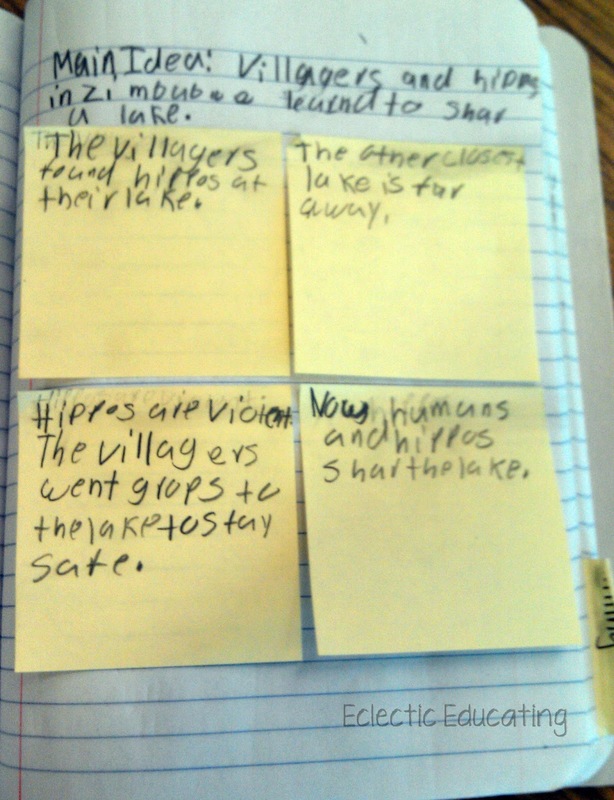 We just did Post-it note summaries today! I too love post-it notes. We use them all the time (all different shapes and sizes) in both reading and writing workshop.